Leiston lost again at home and dropped down to 10th in the league table as an excellent Stourbridge side left with all three points. At times in this contest, the home side played very well but couldn't convert the good chances they created, in a match sponsored by Watson & Hillhouse with Mr Bob Porter sponsoring the match ball. Marcus Garnham and Tom Bullard were injured, so in came Charlie Beckwith and Harry Knights, while Patrick Brothers came in for Robert Eagle and Noel Aitkens replaced Ashley Nicholls. Stourbridge, who reached the FA Cup Third Round two seasons ago, started off well and Robbie Thompson-Brown was denied by a good Harry Knights block. Beckwith easily gathered the same players free kick moments later, while Joe Jefford headed over Byron Lawrence's free kick for Leiston's first chance. Patrick Brothers' deft header set Jake Reed away but James Wren in the visitors goal saved well. Aaron Forde put Stourbridge ahead in the 20th minute as he was given time to unleash a strike into Beckwith's bottom right hand corner. Brothers then fired over for Leiston and Byron Lawrence had a shot blocked before Harry Knights headed wide. Leiston started well in the second half and worked a couple of good opportunities, but Stourbridge soon doubled their lead. The lively Luke Benbow got away from Joe Jefford and he dribbled into the penalty area to once again give Beckwith no chance. Christy Finch went narrowly wide with a free kick, and an excellent Kyle Hammond cross couldn't be turned into the net and Hammond was unlucky not to score a few moments later as his shot was blocked. Byron Lawrence was foiled by Wren and Forde shot way over the crossbar as time was running out. Leon Broadhurst struck the crossbar when well placed for Stourbridge and Rob Eagle cleared off the line, with the midfielder, who had just come on as a sub, having to be replaced. The game was made safe in the first minute of added on time as sub Kaiman Anderson finished off a good team move. Beckwith saved well late on from the same player as the points headed back to the West Midlands. Leiston now play three consecutive away matches, starting with a trip to Bedworth United next Saturday. FT: - Blues 0-3 Stourbridge. Leiston: - Beckwith, Hammond, Dunbar, Aitkens, Jefford, Knights, Lawrence, Rutterford (Eagle 65 mins, Moore 80 mins), Reed, Finch (Blake 65 mins), Brothers. Subs not used: - Keys, Lay-Fulcher. Stourbridge: - Wren, Hayden, Westlake, McCone, Pierpoint, Forde, Powell, Broadhurst, Benbow (Anderson 75 mins), Thompson-Brown (Birch 69 mins), Mills. Subs not used: - Maher, Christophorou, Steele. 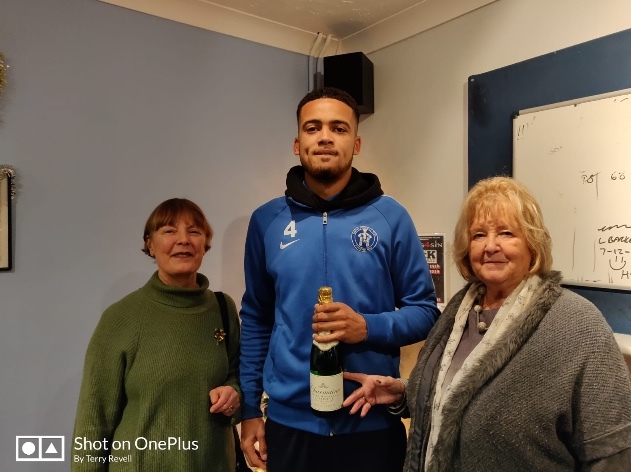 Match Sponsors Watson & Hillhouse Man of the match: - Noel Aitkens.